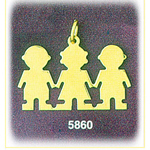 Twice as nice and splendidly fashionable the fascinating 14K Gold Engraveable Twin Boys Plate Charm is sure to please. 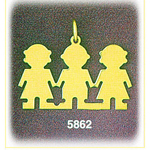 The silhouettes of two young children are chiseled out of radiant 14kt gold perfect for engraving and celebrating the miracle of your two boys. 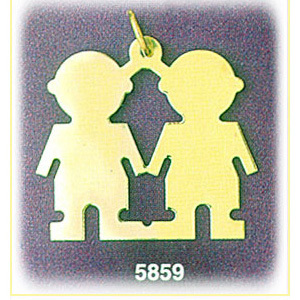 Cleverly crafted a 14K Gold Engraveable Twin Boys Plate Charm is the perfect way to show your love for both of your children. 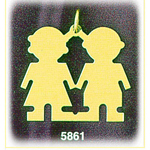 Pendant is crafted in 14k yellow gold featuring a polished finish with flat back, it measures approximately (28mm - 1 1/8") in width by (25mm - 1") in height and weighs 3.5 grams, it is recommended for necklaces.